So chocolately, so delicious, so light! This is the best, most sublime chocolate cake you ever imagined. With our step by step pictures and advice, you can be sure that you will soon be eating the food of the Gods! 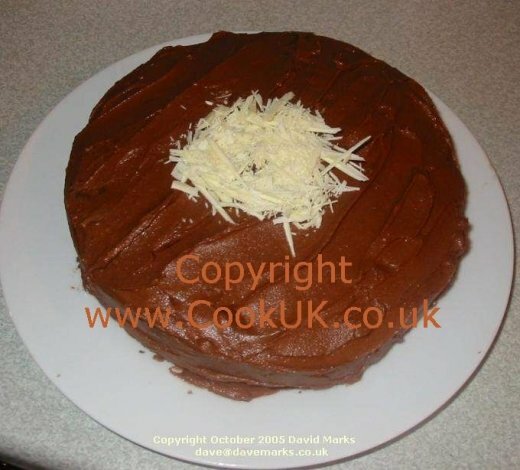 This recipe is over two pages, first how to cook the chocolate sponge then how to fill it and how to ice the cake. The basic ingredients for the chocolate sponge are shown below. The butter for the sponge must be soft. The best way to achieve this is to measure out the butter an hour or so before it is needed and leave it at room temperature. If this is not possible, break up the butter with a fork and beat it for a minute or so. Turn the oven on, setting it to 170°C / 325°F / Gas Mark 3. Next, grease both of the baking trays with margarine or butter, cut out 2 circles of greaseproof paper and line the base of both baking trays. Place the flour in a bowl, take out one heaped tablespoon full of flour and use 1 heaped tablespoon full of the Cocoa powder to replace it. Add the baking powder. Sieve the mixture into another large bowl. 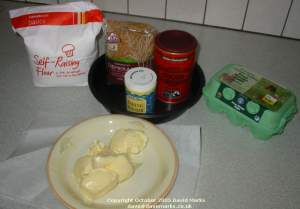 Add the butter, sugar and eggs to the flour mixture and mix well using a fork - this should take around 3 minutes. The resulting mixture should fall off the spoon but reluctantly. If the mixture is too thick, add a little water and mix it in well. NOTE: If you follow the recipe and use the correct sized cake tins then you will have no problem. 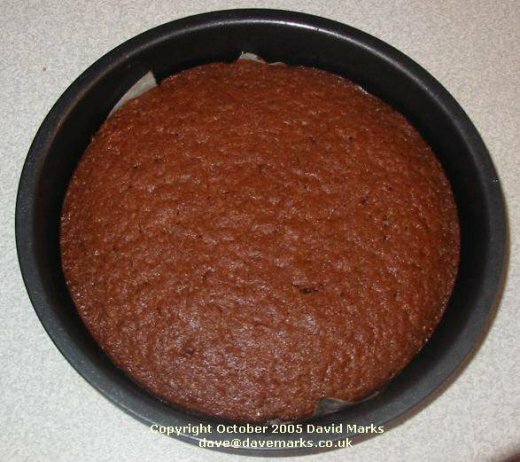 However, if you use smaller cake tins then only fill to around two thirds full. If you fill up the cake tins completely the mixture will overflow into your oven as it cooks. 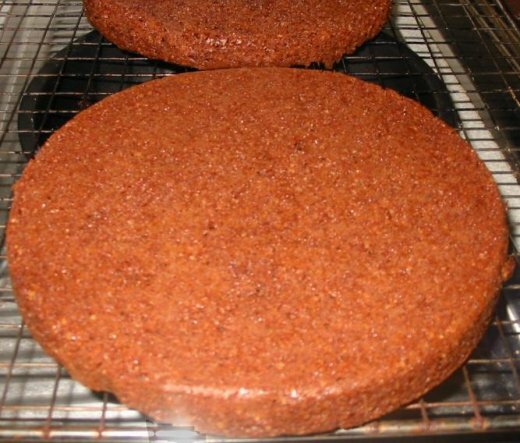 One of the cooked sponges Put half the mixture in each of the baking tray, smooth the surface over so that it is relatively flat. Place the baking trays in the centre of the pre-heated oven and cook for 30 minutes. DO NOT open the oven door until the 30 minutes are up! Test if the sponge is cooked by gently pressing the centre with your finger. If it fully springs back to shape it's cooked. If not put it back in the oven for 5 minutes. Leave the cakes in the tin for a minute to cool. Turn them out of the tins onto a wire rack. This is to let the air circulate around them as they cool. Remove the greaseproof paper and admire your cooking skills! I am in only a year 8 student at thorns community college. 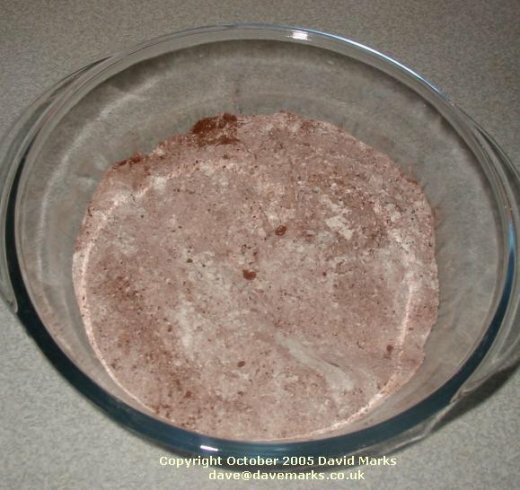 We were asked to search for a recipe and use it in are class All I had to do was type in chocolate cake recipe into google and click on the first website and there came everything I needed. There was a picture of the cake, there was the INGREDIENTS I needed and the picture of the INGREDIENTS and the steps of how to make the cake. The recipe was fantastic it worked fantastically well and well it tasted to die for! help her do her first cake. It was yummy! 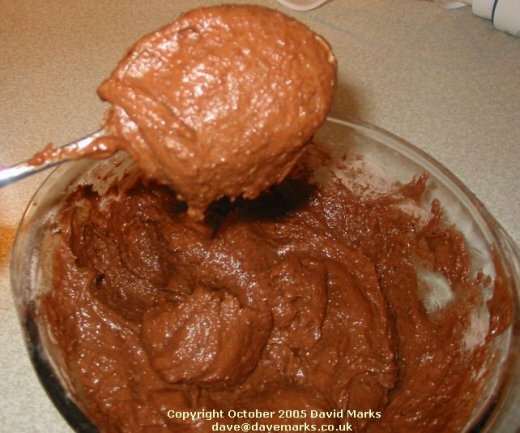 This is so far the best home made cake mix I've eaten. I added mix spice to mine, very nice. Amazing! I took it for my year 8 food tech class and I got a high level and it tasted brilliant!! This is the BEST chocolate cake recipe ever and soooooooo simple! I love this! It is great! Well am glad to be the first this year to comment on this amazing, out of this world, delicious cake. My first chocolate cake I have made from scratch, thank you, thank you, thank you, simply the best, better than all the rest. Started baking with my little girl, never had a success until I tried this recipe, even with the help of a 2 yr old! Tastes good and is beautifully simple, no fails as yet! Just made it today and was very pleased, I did take a little bit of butter out and replaced with a little bit of vegetable oil and came out soft and spongy. First time I have made a chocolate cake. Really easy recipe but tastes like professional cake. HONESTLY the best i have ever had. Good recipe, have made this 3 times now, currently got one the oven, I added a little oil this time to make the sponge that little bit moister. Beautiful chocolate cake recipe, I've made this several times and it's a birthday favourite. Very nice...thanks for the recipe !! ADD YOUR COMMENTS BELOW ABOUT THIS CHOCOLATE CAKE RECIPE. IT WILL BE ADDED ABOVE WITHIN 12 HOURS.